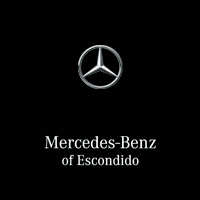 Welcome to Mercedes-Benz of Escondido, the go-to luxury car dealership for drivers from San Diego and Escondido, CA. Our Mercedes-Benz dealership is under new management, and ready to prove to you why we should earn your business and your trust. Whether you’re interested in buying or leasing a new Mercedes-Benz or are seeking service on the luxury car you already drive, you’ll find our team of Mercedes-Benz experts fully dedicated to your needs. We strive to go above and beyond for every customer who walks through our doors, and we’ll provide you with the individualized attention you deserve. Visit our Escondido Mercedes-Benz dealership today to start shopping for your dream car. When you visit our Mercedes-Benz dealership near San Diego, CA, we’ll take the time to learn about your specific wants and needs. If you’re shopping for a new Mercedes-Benz, we’ll show you a variety of luxury cars and SUVs. You’ll have the opportunity to test-drive new Mercedes-Benz C-Class and E-Class Sedans. If you prefer an SUV, we have new Mercedes-Benz GLC and GLE models for sale. Interested in a pre-owned Mercedes-Benz? We have plenty of used luxury car options available, including used Mercedes-Benz CLA Coupes and C-Class Cabriolets. Select the Mercedes-Benz you like best and speak with our Mercedes-Benz financing department about your lease and loan options, and be sure to check our Mercedes-Benz specials often. Once you’re a proud Mercedes-Benz owner, you’ll want to protect the investment you’ve made in your car or SUV. That’s where our Mercedes-Benz service center comes in. We’ll do everything we can to keep your vehicle in tip-top shape, including Mercedes-Benz maintenance and quick Mercedes-Benz repairs. From brakes to batteries to engines and transmissions, we know our way around all the various components of your Mercedes-Benz. Plus, we use genuine Mercedes-Benz parts and accessories whenever possible in our repairs. With our convenient location at 1101 W 9th Ave in Escondido, CA, Mercedes-Benz of Escondido is just a short drive away for Mercedes-Benz fans from San Diego, including those from Rancho Bernardo. Make the trip to our luxury car dealership today!